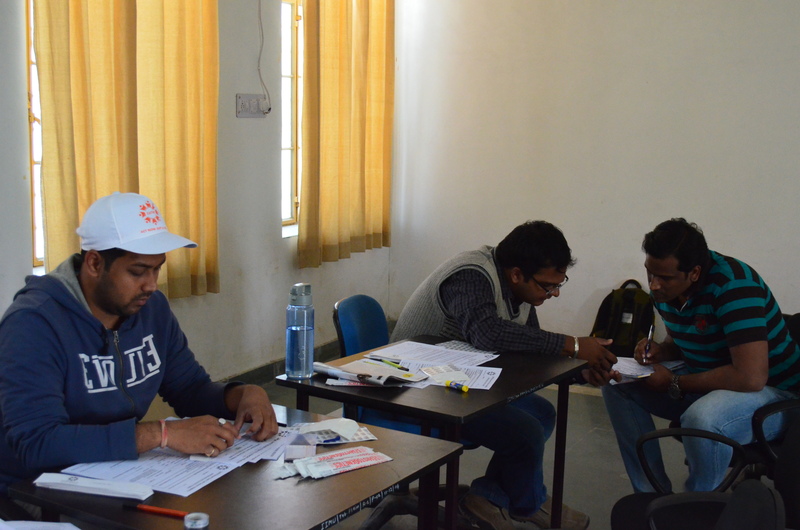 Prayatna – The Social Responsibility Club of IIM Udaipur organized a Stem Cell Donation Registry Camp in collaboration with Datri Foundation. Datri is a non-for profit organization working for patients suffering from various blood disorders including blood cancer. The event started with an awareness session in which the students were briefed about the need and process of Stem Cell donation. The session was taken by Mr. Rajat, a BITS Pilani Alumnus working full time with Datri Foundation. Around 60 donors registered in the application process of Stem Cell donation. 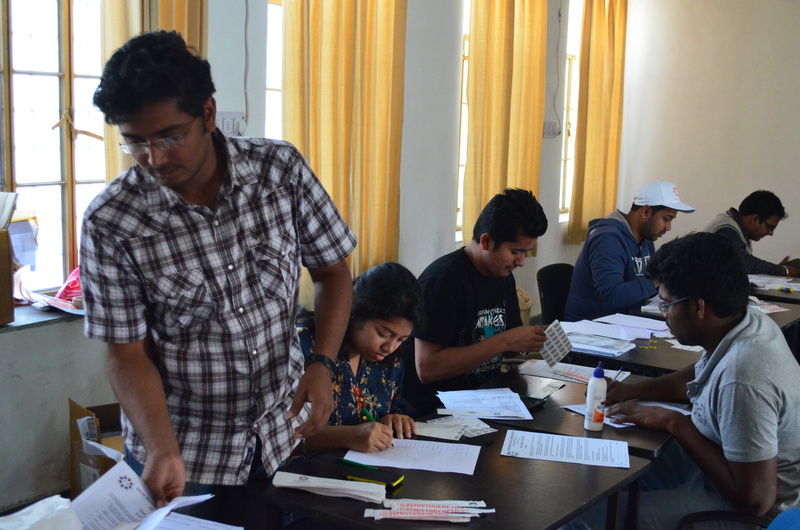 Apart from the students and faculty of IIMU, the event also had around 10 donors from the local Udaipur community. The process of stem cell donation starts with a registry camp where the prospective donors are first made aware about the process, benefits and commitment required as a donor. Post the process, an information / consent form recording the details of the donor is filled by the applicant donor. A sample of squab is taken from the donor and the entry is done in the database maintained by Datri with each donor identified by a registration number carried on his / her registration card. The main motive behind maintaining a database is to increase the chances of finding a suitable donor whose sample matches with a patient suffering from a critical disease like Leukaemia. Stem Cell match depends on a lot of factors like genes, race, ethnicity etc., and hence the probability of fining a match is 1:10,000. Datri has a donor base of 50,000 people in India and has successfully accomplished 51 transplants till date. IIMU is committed towards building a student force who is dedicated towards the social causes in the society. And Prayatna works tirelessly towards spreading the awareness and by setting example in the successful achievement in its feat of efforts towards the welfare of the society. One of the feathers in its cap was proven when an uneducated driver from the local city joined the event to register for donation. He communicated that the awareness due to the advertisements in the local newspapers by Prayatna prompted him to join this initiative. Thus, establishing the fact that all the barriers can be crossed by dedicated efforts. The fact that there are close to 1400 patients in India who are actively looking for Stem Cell donors showcases the criticality of the issue. The process of Stem Cell Donation Registration actually takes only 10 minutes and is administered by a painless procedure. And since little success has been achieved in finding a match for the blood disorder patients till date, the need for increasing the donor base and spreading the awareness about the cause becomes increasingly important. In such a scenario, camps like these organized by the foundation and its association with an institute like IIMU sends a strong message to the ever growing, young and dynamic student community as well as the society at large for awareness and need of active volunteers to come forward and contribute in the noble cause of saving lives.